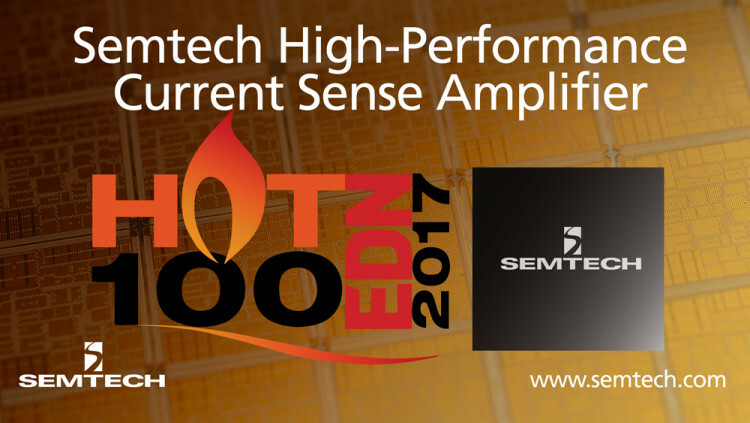 Semtech Corporation (Nasdaq: SMTC), a leading supplier of high-performance analog and mixed-signal semiconductors and advanced algorithms, announced that its current sense amplifier was selected for EDN’s Hot 100 products for 2017. The publication selects products based on innovation, usefulness and popularity. The product is an extension of Semtech’s portfolio of current sense amplifiers with high-performance functionality for a wide range of analog applications and supports four to 42 volts supply voltage. The current sense amplifier’s (TS94033) wide supply voltage increase flexibility for use in a broad range of applications, including Internet of Things (IoT), battery chargers, notebook computers, telecommunications equipment, and wireless chargers. It is currently used on Semtech’s wireless charging reference designs. View all power management products: www.semtech.com/power-management. Semtech and the Semtech logo are registered trademarks or service marks of Semtech Corporation or its affiliates.